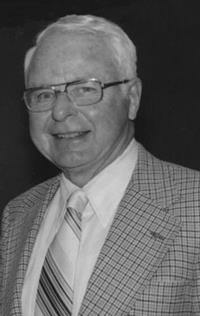 Ernest M. Lyman, professor emeritus of physics, was a distinguished nuclear physicist who served on the faculty of the Department of Physics for 36 years. In addition to making seminal contributions to experimental nuclear physics—he was a world expert on electron scattering—Professor Lyman maintained great interest in teaching undergraduate physics and was one of the early proponents of computer-assisted physics education. Professor Lyman was born on September 23, 1910, in Berlin, Germany. He graduated from Pomona College, Claremont, California, in 1931 and received a master of science degree from Dartmouth College, Hanover, NH, in 1933. He earned a doctorate in nuclear physics from the University of California at Berkeley in 1938, and came to Illinois as an assistant professor the same year. During World War II, Professor Lyman worked on the staff of the Radiation Laboratory at the Massachusetts Institute of Technology, where he developed radar for the Allies. He also spent many months in the European theater, assisting with the ground-control radar systems for British and American aircraft. At Illinois, Professor Lyman was involved in the pioneering Hanson-Lyman-Scott work that represented the first electron scattering experiment to detect the structure of the nucleus. Their experiment demonstrated that light could be used to "see" inside the nucleus of an atom, a groundbreaking discovery that led to many subsequent findings in modern particle physics. A devoted teacher, Professor Lyman was honored by his colleagues and friends on his retirement with the creation of the Ernest M. Lyman Prize to recognize annually the outstanding undergraduate student in physics. Professor Lyman was a fellow of the American Association for the Advancement of Science.